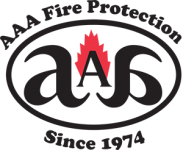 AAA Fire Protection Services is a professional company offering industry expert fire protection for Burlingame businesses. We bring over 40 years of fire protection and fire suppression experience to the table. Our team of professionals offers Ansul fire systems installation and maintenance. We are also a provider of specialty industry required fire protection systems, such as our paint booth fire systems. We offer complete emergency light installation. Our expert and professional services help businesses of all sizes and we have experts in every industry found within the Bay Area. With 40 years of experience helping businesses just like yours to maintain fire protection compliance, AAA Fire Protection Services offers ongoing services such as our emergency light service where we schedule periodic emergency light testing and then follow up with our emergency light repair if issues are found. Our process is unique. We track and maintain all fire protection and suppression equipment. We make service calls when your equipment needs service on a calendar basis. In addition, we provide data and fill out forms that help you show government agencies, such as OSHA, that your business is compliant.